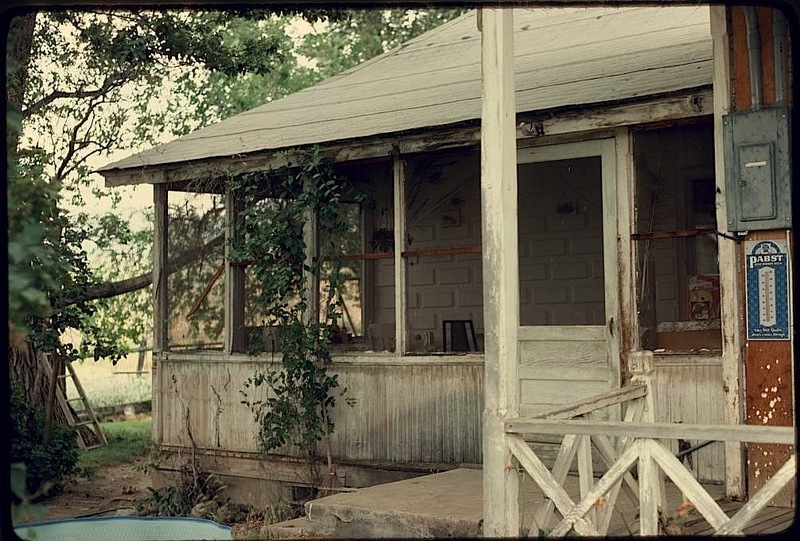 Ranch House with Porch, Paradise Valley, Humboldt County, Nevada, July 1978, (35mm slide) by Suzi Jones, via American Folklife Center of the Library of Congress (all photos here). The house — of adobe construction — served as the officer’s quarters of Fort Scott in the late 1860s. 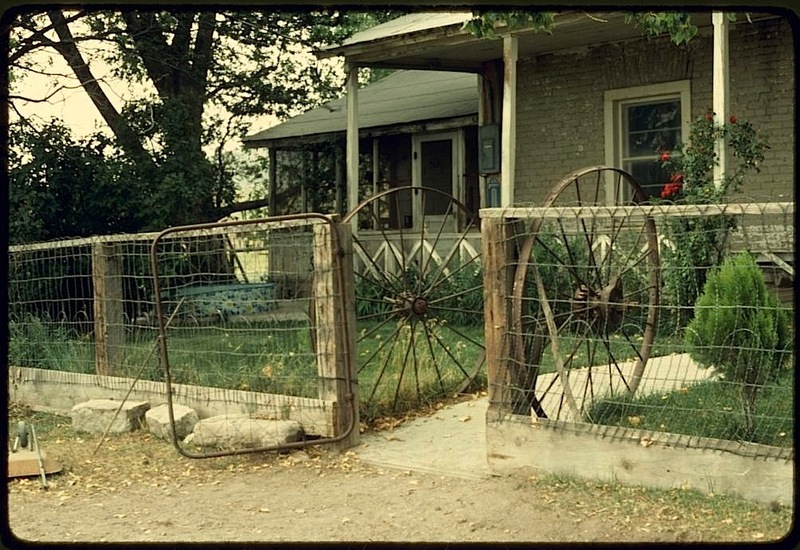 In 1978, it was the main residence of Fort Scott Ranch. There is another view here, by Howard W. Marshall. Fort Scott Ranch, by Howard W. Marshall. 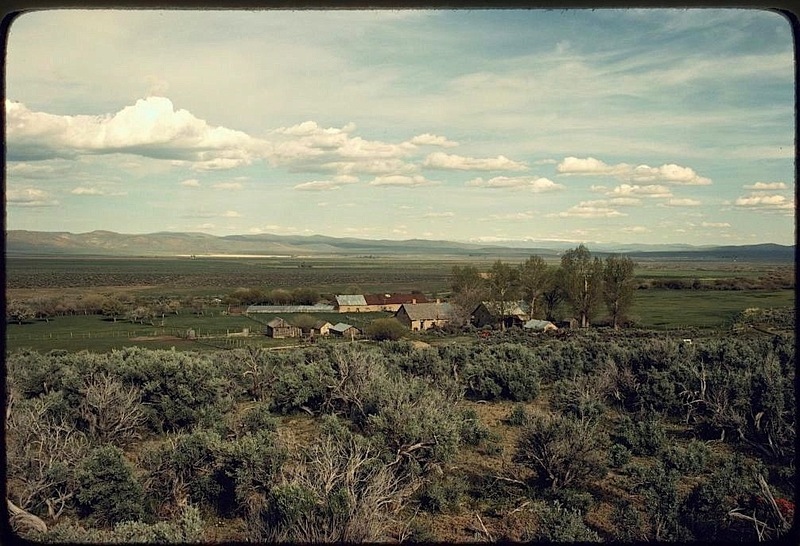 There’s another photo of the ranch house and its outbuildings here. For the last two Sundays, I ran a little poll asking how readers look at enclos*ure — 1) on a desktop computer or Mac; 2) on an e-reader; or 3) on a smartphone? Of those who responded, 82% use a desktop and the others use an e-reader. *It also contains sound recordings and motion picture film.